Rwanda is a beautiful place with a picturesque landscape of rolling hills and lush rain forests. The Virunga Missive mountain ranges borders 3 countries (Rwanda, Uganda and the Democratic Republic of the Congo) and is home to the last remaining Mountain Gorillas. This is where our gorilla trekking journey to see these amazing primates begins. The Volcanoes National Park is regulated quite extensively and is an example of ongoing conservation success. The local guides, trackers, porters and regulatory government bodies work seamlessly to preserve the natural resources, educate tourism and provide ongoing support for research programs and the health of the Mountain Gorillas. We visited 3 gorilla families during our time in Rwanda with uniquely different characteristics and behavioural traits. But each visit was a privilege and more humbling than the next. This is one of the last remaining intimate wildlife encounters you can have on the planet and it is an experience that leaves manly lost for words. March/April is a good time to visit, just before the raining season kicks in. The weather is mild and perfect for trekking. The process is like a well-oiled machine. You arrive at the permit office early in the morning to register, then you are greeted by the sounds of locals performing traditional singing and dancing in the outdoor gardens with a backdrop of the Volcanoes mountains rising behind. A taste of the culture and beautiful surroundings set the scene for the start of the adventure. Permits are verified and guides discuss the various options for the families that will be visited each day. They allocate each visitor to a specific gorilla family, generally based on physical fitness and preference of the group. The next step is the briefing from the vastly knowledgeable guides. A position highly sort by many Rwandans but also one that involves an extensive application and training process. The guides brief us about the family we will visit and the various personalities and characteristics of the group as well as the history/genealogy of the Gorilla families and their daily lives and behaviour. We drive to the parks edge where we set off trekking across farmland until we hit the barrier that surrounds the forest, a small rock wall that spans 75km that marks the border of the national Park. This is where the farmland ends and the forest begins and is a true indication that conservation is in motion as this restricts any encroachment of the land into the forest. It is at this point that our guides brief us about the etiquette and behaviour we should abide by while in the forest. We also get a brief lesson in how to speak Gorilla. The various sounds indicating we are saying “hello” I am not a threat, or understanding when a gorilla wants us out of the way by warning us with a serious of open mouth sounds. It is quite straight forward but it helps you understand the communication while in the forest. Before we even reach the start of the forest, the trackers are already making their way through the lush vegetation in search of the Gorilla family. The Trackers stay in the forest each day to see where the Gorillas settle for the evening, then the next morning they know where to start their search. The guides and the trackers are in constant communication by radio and it is not too long before we get a call from the trackers saying they have found the family we will visit. The trekking time can vary from group to group as they move through the forest in search of food and ideal places to rest. But on average you may trek from 1.5-2 hours for most of the groups. But most of the trekking is through thick rain forest and when it rains the terrain becomes muddy. It is real jungle trekking, not just walking a well-worn path. The first family we visited was the Muhoza group. This family consists of 13 individuals and a large silverback. We meet the trackers only meters from where the family group is and are advised to remove all backpacks and leave any food and water behind and only take our cameras with us. We quietly and slowly make our way through the thick scrub only to be greeted moments later by a large Silverback. We are on his path and we immediately give way as he moved towards his preferred food source. With little to no concern for us and with the clear understanding we were getting out of his way, he sat only a few meters away and proceeded to eat the lush green vegetation. The family was spread around the forest but less than 100 meters away from each other. As we settled into the scrub the gorillas started to move around us and above us in some instances as they climbed across the thick scrub. A Juvenile walks past and finds a comfortable spot in the shadow of the forest. We move around to the other side of the scrub and in a small green opening in the forest a mother and her small baby rest. The youngsters are curious and will make their way towards the curious humans, but generally mum has a firm hold on the little ones not to let them venture too far. Each group is allowed only one hour with the gorillas per day and the time goes so fast it is like a dream and you try and fathom where you are and how accepting these impressive creatures are by letting us into their environment. It takes some time to sink in and words can barely describe the feeling. Humbling, privileged, overwhelming, and once you realise this, your time with the Gorillas is over. But the addiction has begun, and lucky for our group we have a few more days with the Gorillas to look forward to. Each day begins the same, the locals performing, the guides negotiating, the briefing beginning. But no two days are ever the same with the Gorillas and we are lucky enough to visit a different family today. And Lucky being the operative word, as we are told the Hirwa group we are visiting is called the ‘Lucky One’. The silverback (Muninya) has begotten a good number of children and plays the role of a doting father and truly looks after his children, and is a definite favourite with the females. We enter the forest ready to hike another 1.5 hours, but to our surprise the trackers tell us that the family is close. Real close as it takes us 20 minutes to get to the family, and what a special group this truly is. In the clearing 4 youngsters play with each other rolling around, grabbing feet and fur and pushing each other around like siblings might do. The day is perfect, sun is shining and the gorillas have found and open patch of vegetation to play and groom each other. We are watching the youngsters when from behind us Muninya walks confidently towards us knowing we will move out of his way quickly so he can make his way to his youngsters. He lays down right in the middle of the group of gorillas and starts to groom some of the children who return the favour. Such a special moment and even more so as a youngster keeps eyeing out my long lens and with each glance moves closer to investigate. He climbs a small branch but to the little ones surprise it is not strong enough to hold his weight and he quickly tumbles back down into the scrub. But still persistent he climbs closer again as the branch falls towards me and I am told to move back from the curious youngster not to encourage any contact or close interaction. The guides are very conscious of abiding by the rules in order to protect the Gorillas from any disease or other threats. They are so embedded in the lives of the Gorillas and really take pride in what they are doing and what their country has achieved through conservation. The Third family was the Sabyinyo group. This family consists of 18 individuals and 2 large silverbacks and one old male called Big Ben who was going Bald. The main silverback is called Guhonda and ironically was born the same year as me and is the oldest Silverback in the Rwandan Volcanoes National park. This group was truly special. The entire family unit was a configuration of males and females of all ages with Juveniles playing and mothers nurturing their young. It was a beautiful insight to the family life of this group and Gorillas in general. But at the end of each day, we leave the Gorillas and hope to meet them again some other time. Being up close and personal with any large animal is a privilege, but it is the connection you feel while sitting only meters away from these Gorilla families that truly softens the heart. Anyone that has had this on their bucket list for a long time should move it up to the top of the list, there is truly no experience like it and with such a small population left on the planet, it is worth doing sooner rather than later. This trip is designed to maximise your time with the wildlife and experience a small group intimate experience. Join multi-award winning photographers on the ultimate wildlife opportunities to see sub-antarctic species in one of the most accessible places on the planet. Boutique tour group – Maximum 5 people. Expert photographic advice from award-winning wildlife and nature photographers. 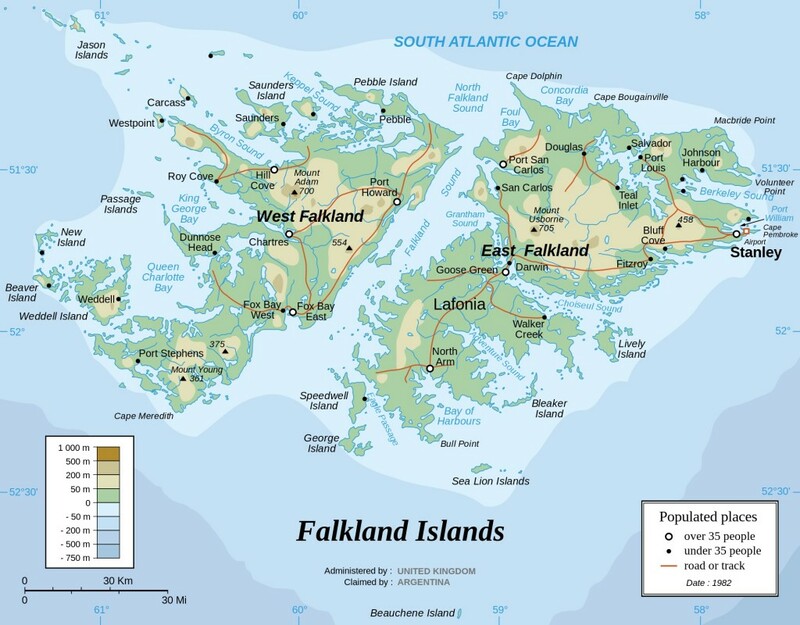 Included: Internal flights (Falklands), accommodation (14 days), all meals, expert award winning wildlife and nature photographers as guides/hosts. In 2016 he was announced National winner of the Sony World Photography awards and in the same year awarded at the prestigious wildlife photographer of the year. He was recently awarded at the National Geographic Nature Photographer of the year, receiving an honorable mention. 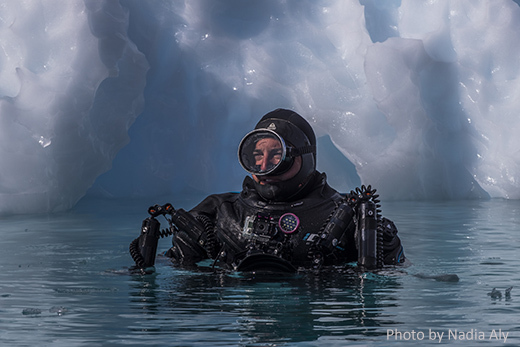 With his experience in the Sub-Antarctic and Antarctic regions, he brings a wealth of knowledge to every expedition and ensures that each trip optimizes photographers chances to capture the best that the wildlife in the region has to offer. He teams up with one of the most accomplished wildlife and nature photographers in Australia, David Stowe, to bring you an intimate experience in this amazing destination. David Stowe is a Sydney based professional photographer with over 20 years experience photographing people and wildlife. He has a deep passion for the environment and the wildlife within it, especially birds. There’s not many corners of Australia that he hasn’t gone to in search of rare and beautiful species and he wouldn’t be offended if you called him a bird nerd! In 2015 he was awarded the Australian Geographic ANZANG Nature Photographer of the Year, and has also been awarded by the AIPP (Australian Institute of Professional Photography) as a Master of Photography, and two time winner of the NSW “Science Wildlife and Wild Places Photographer of the Year”. His bird images have been featured in many books and magazines, as well as the Pizzey & Knight Field Guide to Australian Birds App. A friendly guy who loves helping people learn more about photographing nature and by doing so hopefully inspiring people to look after our precious planet. Saunders Islands was the site of the first British settlement in the Falkland archipelago. The island is now one large farm of about 30,000 acres and is well known for its sizeable colony of Black browed albatross in addition to being home to elephant seals, king penguin and rock hoppers. The North of the Island is made up of two large peaks and it is the thin strip of land between these peaks known as ‘the Neck’ which is home to large colonies of Magellanic and Gentoo penguins. Bleaker Island is home to 3 species of penguin, a large imperial cormorant colony, southern giant petrels, many smaller birds, a variety of waterfowl on the ponds and is one of the few places where the rare flying steamer duck can be observed. Marine mammals such as southern sea lions and dolphins are often seen in the area. The settlement is situated in the middle of the island and still operates as a cattle and sheep farm. Carcass Island is a haven for small bird species including Cobb’s wren, striated caracaras (known locally as “Johnny Rooks”), white bridled finches and short-eared owls. 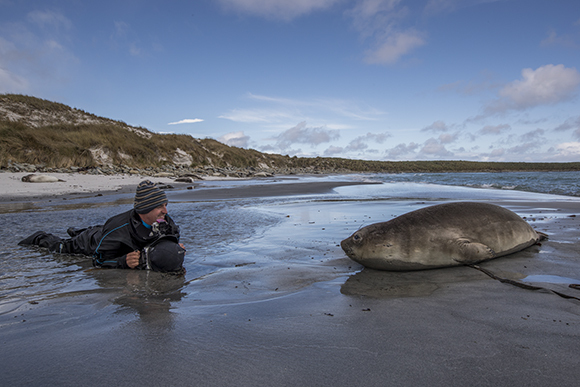 Elephant seals bask on the northern beaches, magellanic penguins reside close to the settlement, gentoo penguins and other marine mammals inhabit the southern end of the island. The scenery is varied with beautiful white sandy beaches, tussac paddocks, rocky hills and clifftops. Ever thought about snorkeling with Leopard Seals or Penguins, or diving beneath the ice in a polar region, or just exploring the landscape and it’s natural wonders? Antarctica is the most remote destination on the planet. Abundant wildlife, massive icebergs the size of cities, spectacular untouched mountain ranges. whales glide by in search of food, penguins huddle together in the thousands and seals play in the nutrient rich southern ocean. It is a photographers paradise. 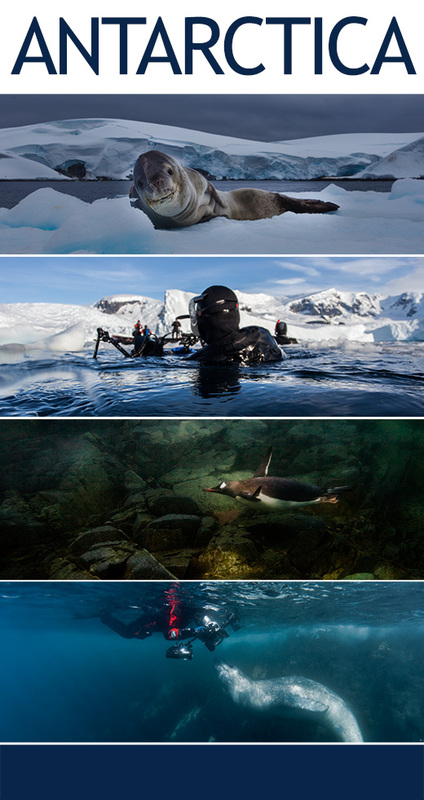 In February 2018 we are running a diving, snorkeling and photography trip to Antarctica. Spend 11 days in Antarctica, the last remaining wilderness on the planet. The workshops are designed for all levels and if you are feeling brave you can grab a drysuit and get in the water for a different perspective. 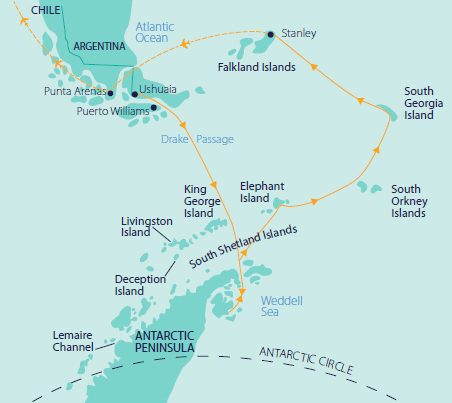 This Antarctic Explorer Fly/Sail itinerary features the best of Antarctica across ten days and allows for more exploration, with only one crossing of the Drake Passage. Get up close with tabular icebergs, vast colonies of Adelie and gentoo penguins and dramatic volcanic landscapes in the ice-filled Weddell Sea; the Antarctic Peninsula’s many islands are alive with leopard seals busy with courtship, bustling penguins and maybe whales! 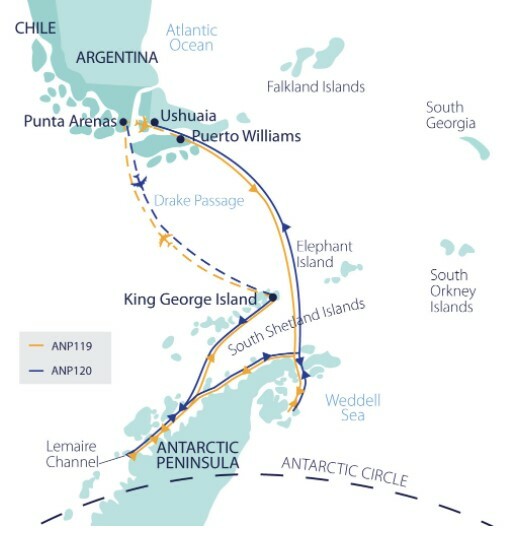 Flight from Punta Arenas to Puerto Williams, Transfer from Puerto Williams’ airport to Polar Pioneer, including Puerto Williams town and surrounds tour, Luggage transfer from Polar Pioneer to King George Island airstrip, Flight from King George Island to Punta Arenas, One night accommodation in Punta Arenas post voyage (26 Feb 2018), Comprehensive pre-departure information. To register your interest to join us in Antarctica for this once in a life time experience, click here. Fly/Sail Itinerary: more time to explore! The Antarctic Peninsula’s western flanks offer long summer daylight and ice-free waters; we visit historic huts and Zodiac cruise through narrow straits and majestic icebergs, and if we’re lucky, whales. The few landing points we hope to visit are Half Moon Bay, Lemaire Channel, Hydrurga Rocks and more. Ever thought about getting up close and personal with Leopard Seals or Penguins, or just exploring the landscape and it’s natural wonders. Antarctica is the most remote destination on the planet. 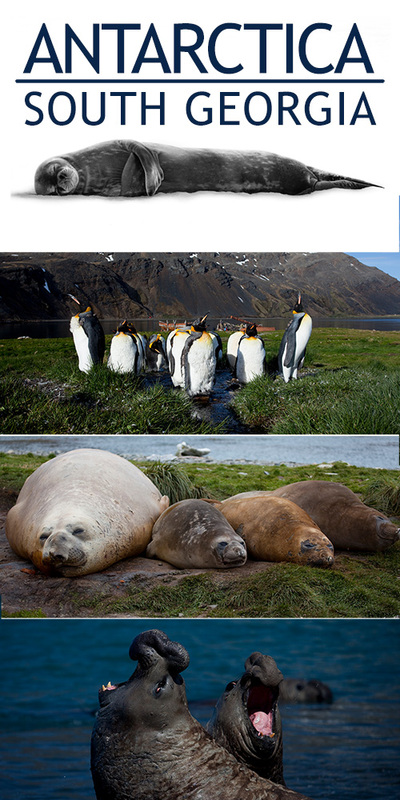 Abundant wildlife, massive icebergs the size of cities, spectacular untouched mountain ranges. whales glide by in search of food, penguins huddle together in the thousands and seals play in the nutrient rich southern ocean. It is a photographers paradise. In March 2018 Award winning photographers Scott Portelli and Joanna Lentini are running a trekking and photography trip to Antarctica. Spend 17 days in Antarctica, the last remaining wilderness on the planet. The workshops are designed for all levels and if you are feeling brave you can grab a drysuit and get in the water for a different perspective. We hope to explore fossil-rich islands, historic huts and set foot on the continent before retracing Shackleton’s heroic journey to save his men – first to Elephant Island, then on through waters where blue, sei and fin whales roam. South Georgia offers nesting albatross, mating elephant seals, the world’s largest king penguin rookeries and a visit to Shackleton’s grave. Included: Accommodation on board Polar Pioneer, All meals, Daily cabin service, All shore excursions and Zodiac (inflatable boat) cruises, Port taxes and charges, All entry fees to historic landings sites, Lectures and educational and guiding services from our expert team, Access to our on board doctor and basic medical services, Complimentary custom-designed Polar Expedition jacket, Professionally produced voyage journal (one per booking), Free gumboot hire during the voyage, Luggage transfer from hotel in Ushuaia to Polar Pioneer on day of boarding, Transfer from Polar Pioneer to Stanley airport, including tour of Stanley, Post-voyage flight from Stanley to Punta Arenas OR Santiago (no reduced fare for finishing in Punta Arenas), Comprehensive pre-departure information. Joanna Lentini is an award-winning photographer and editor based in the greater New York City area. Joanna’s passion for the natural world and photography ignited from an early age and has led her to explore diverse environments around the planet—from the Arctic to the Coral Triangle. Wildlife remains Joanna’s deepest passion, and her work both topside and underwater has taken her face to face with some of the planet’s most incredible creatures, ranging from sharks and crocodiles to polar bears and snow monkeys. Through her imagery she hopes to inspire a greater appreciation for the planet and its last wild places. Joanna’s has contributed images and published articles for various print and online publications including: Sport Diver, Ocean Geographic, Dive Photo Guide, ScubaDiver AustralAsia, Dive Advisor, and ScubaDiver Ocean Planet. 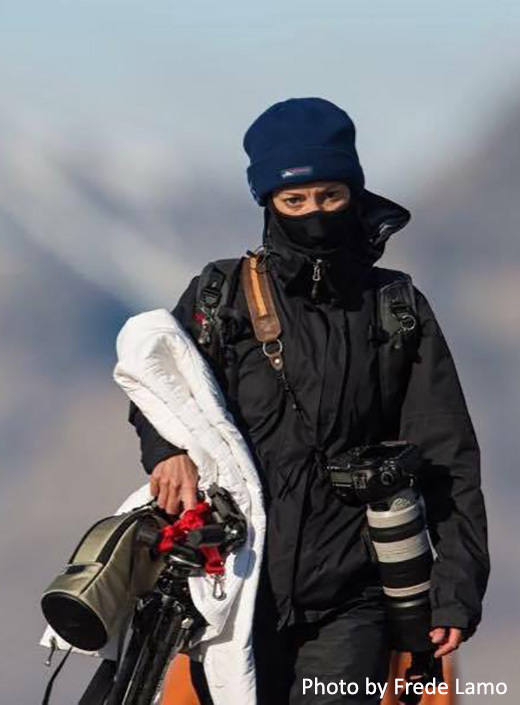 She has been awarded in several international photography competitions and was recently one of a few women awarded in the prestigious Wildlife Photographer of the Year photography competition. Having lived in 4 countries across 3 continents, she has now visited 50+ countries, is a certified PADI Master Scuba Diver and Aquanaut, and is a member of the Ocean Artists Society. She holds a bachelors degree in Entrepreneurial Studies from Rider University, and is a graduate of the New York Institute of Photography. 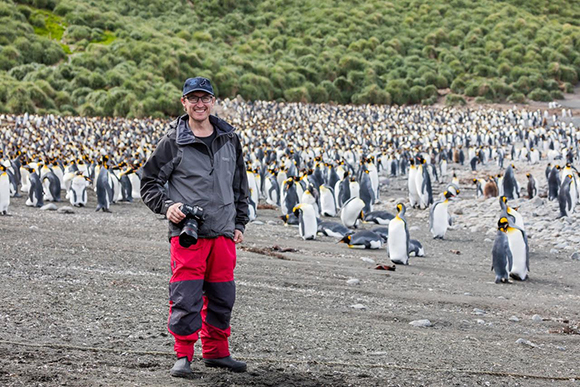 With his experience in the Sub-Antarctic and Antarctic regions, he brings a wealth of knowledge to every expedition and ensures that each trip optimizes photographers chances to capture the best that the wildlife in the region has to offer. He teams up with one of the most accomplished wildlife and nature photographers, Joanna Lentin, to bring you an intimate experience in this amazing destination.